A raw, vintage H-D style, with a modern edge. The all-new Softail Slim® motorcycle is 35 pounds lighter than last year's model, with more power, more lean angle, and a redesigned suspension. 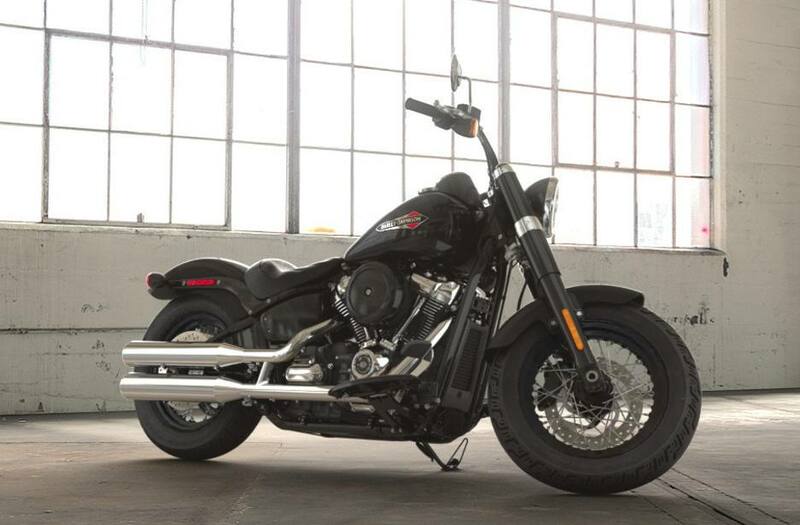 Dark Polished Finishes: Features blacked-out metal from the Hollywood handlebars to the black steel laced wheels. Seat Height, Unladen: 26 in. Weight, As Shipped: 642 lb. Weight, In Running Order: 671 lb.